See the latest deals at American Eagle. Wondering where you can find the best Valentine’s Day sale on men's and women's latest collections? Shop now for great deals with savings Up to 60% off on jeans, tops and accessories. Looking for last minute Valentine’s Day travel offers for couples? Save up to 40% on last minute flights deals, hotels and hotel+flight pacakges! Whether you’re shopping for Valentine’s Day flowers, candies, or planning a surprise romantic dinner at home, you can save big at Target. Find Valentine's Day gifts and decor for under $20. Valentine's Day gifts he will fall in love with. 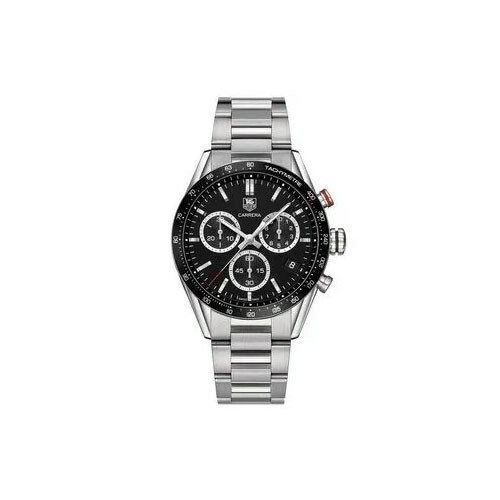 Up to 56% off on watches. Shop now at eBay, and save. Find gifts for every budget at Kohl's. Save 15% with our Valentines Day Kohl's coupon. Pamper the special woman in your life with lifestyle products at Nordstrom. Up to 50% off on Handbags and accessories. For that special girl, woman or lady in your life. Wow her with personalized Valentine's Day gifts and celebrate the day of love. 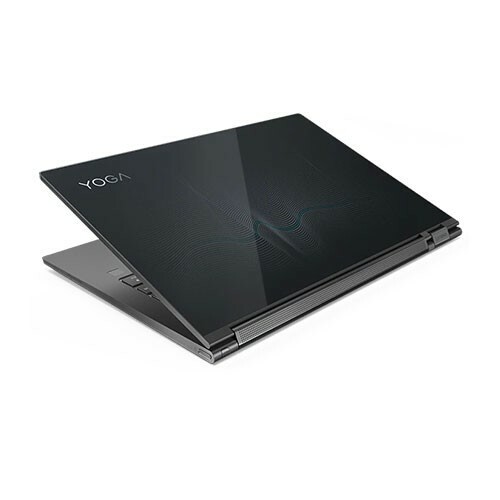 Looking for Valentine's Day gifts for your husband or boyfriend? Show your love for him with our selection of Valentine's day offers. Two souls, but with a single dream? Gift each other with experiences which you will cherish for life. Book your dream vacation or plan a weekend activity with your loved one with our great offers for couples. 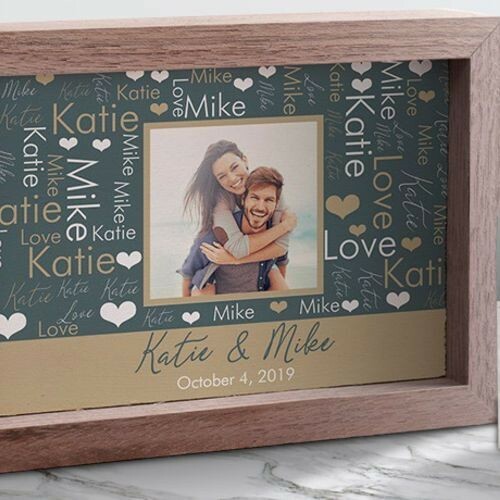 Share personalized gifts to make it extra special. Looking for some great gift ideas? Want to find some great deals on chocolates or flowers? Need a gift for your boyfriend, girlfriend, spouse, or partner? We’ve got you covered. 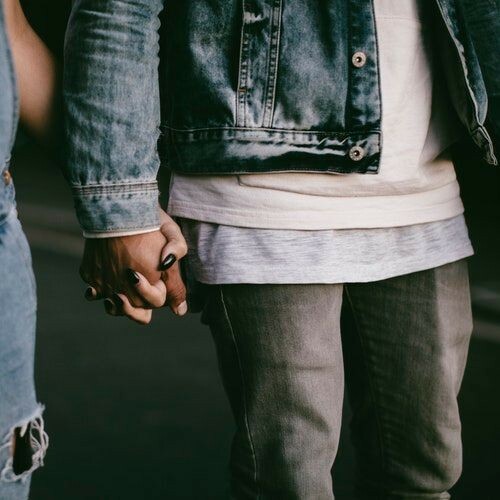 Whether you’re looking for Valentine’s Day gifts for him, for her, or some unique ideas for couples, we’re here to help. Searching for that perfect Valentine’s Day gift for your girlfriend? Want to find a great gift for your wife? 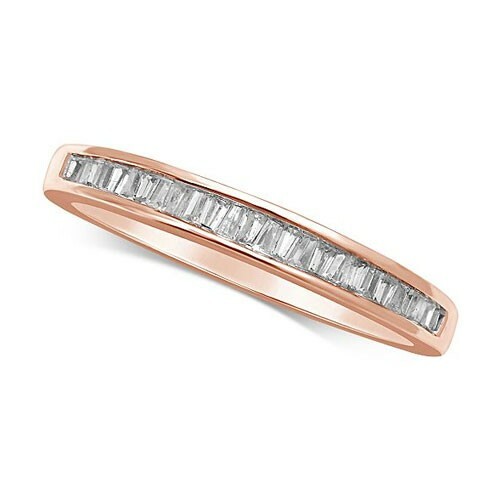 Check out these deals on gifts for that special lady in your life. Gymshark – Workout gear from Gymshark is sure to be a hit with that special someone in your life. This is a great idea for girlfriends and wives who are into fitness. Get great deals like 20% off your whole order, or $20 off orders of $150 or more. Target – Everyone loves Target. It has just about everything, at rock-bottom prices! And with their Valentine’s Day offers on clothing, cosmetics and more, you’re sure to find something great for a lucky lady. Shop deals like 25% off select home care items. Kohl’s – From jewelry to perfume, clothing and lingerie, Kohl’s has it all, and you can find great deals on gifts for her, such as 15% off your entire order, or 15% off select pieces of jewelry. 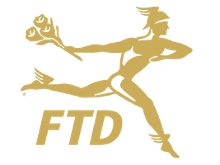 FTD Flowers – There’s nothing quite like a fresh bouquet of flowers from someone special. 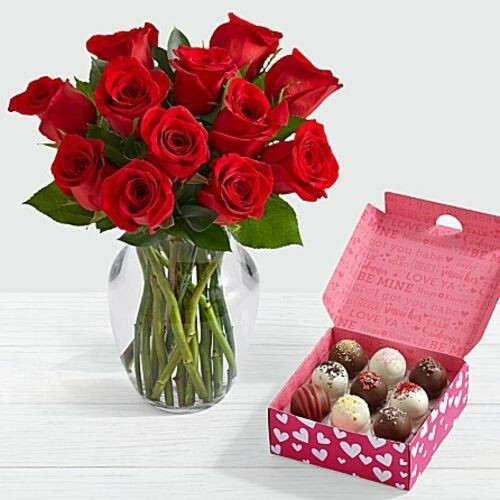 Treat your special gal to a bunch of roses, a gift basket, or even chocolates and treats from FTD Flowers, and save big with deals like 25% off your entire order. 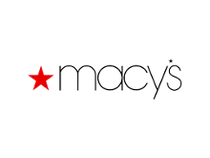 Macy's – For brand-name items at great prices, it’s hard to beat the Valentine’s Day offers at Macy’s. You’re sure to find the right gift for her, with deals like 20% off select styles, $50 off sunglasses, and 80% off women's clearance . Looking for Valentine’s Day gifts for a husband, for your boyfriend, or any other special man in your life? Not sure where to start? We are here to help. American Eagle – American Eagle has a huge selection of menswear and accessories, making it a great store to find a Valentine’s Day gifts for guys. Current deals include 20% off select styles, and 40% off the AEO collection. 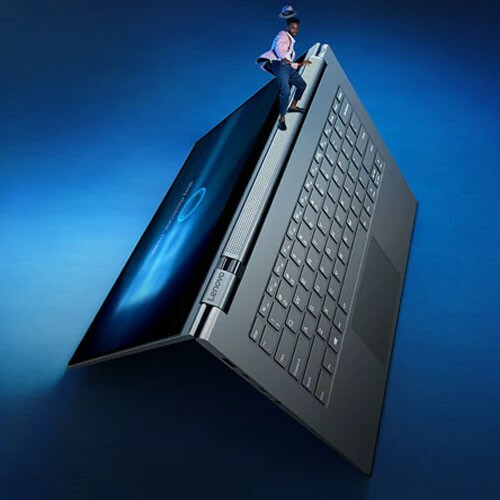 Lenovo – Does your special guy need a new computer? 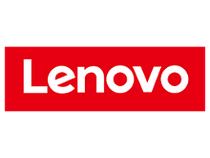 You can find Valentine’s Day deals for computers from Lenovo, with discounts like 20% off select ThinkPad laptops and 20% off the Yoga C930 2-in-1 laptop. 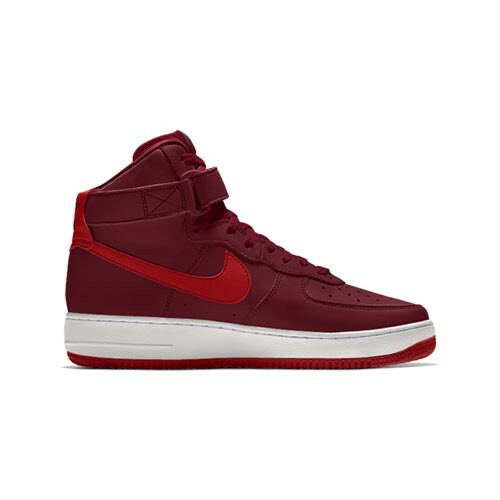 Nike – Every guy appreciates a new pair of shoes or sportswear, so this is a great gift idea. Get big savings like $20 off orders of $100 or more, or up to 30% off Retro Jordans. 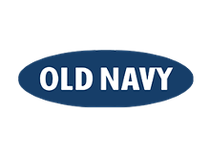 Old Navy – Who couldn’t use some fresh clothes from Old Navy? Check out their Valentine’s Day sale and get great deals on clothes for your special guy, like 25% off online, plus free shipping. 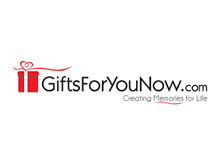 Gifts for you now – A customized present from Gifts For You Now is a great choice for a unique Valentine’s Day gift. Find deals like 40% off select Valentine’s Day gifts, deals on personalized cards, and more. Proflowers – Who says guys don’t like Valentine’s Day flowers? 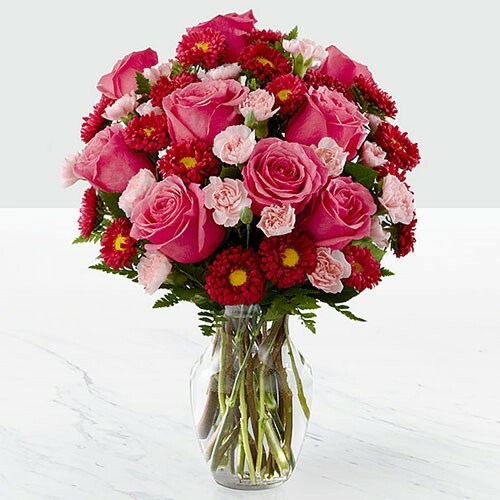 Proflowers has a huge selection of flower arrangements, as well as other unique gifts. You’re sure to find something your guy will love. Get a deal like 45% off select flowers and gifts, and save! Want to do something a little different? Looking for special Valentine’s Day offers for couples, such as hotel offers? Here are a few of your best options. eBay – eBay sells just about everything, including gift cards for hotels, spas, and even airlines. You can shop for a couple’s getaway for less, especially with deals like $5 off any order. 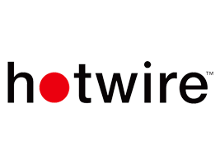 Hotwire – You won’t find better Valentine’s Day hotel offers on any other website. At Hotwire, you can book a vacation or a weekend retreat for less, with offers like $75 off selected hotels, and 60% off select car rentals. Overstock – This Valentine’s Day, treat yourself to new home goods and furniture from Overstock. You and your special someone are sure to enjoy your new items, and you can get a great deal with discounts like 20% off living room furniture, and 30% off area rugs.